The little orange cat looked up at me through the side door of The Chestnut Street Inn. Because I had not done my homework, I did not know that this was THE Mr. Pumpkin Pie, feline resident and official greeter. 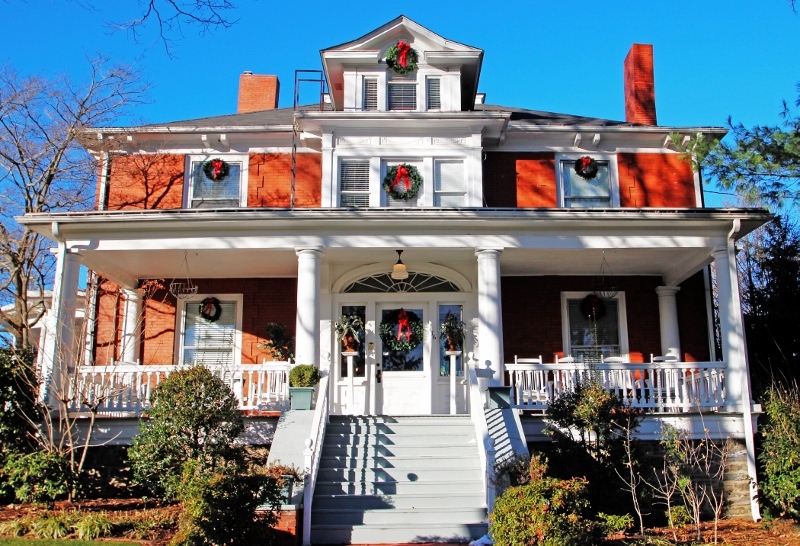 The Inn, located in the Chestnut Hill Historic District of Asheville, NC, is part of a unique neighborhood, listed on the National Register of Historic Places (1983). Pumpkin Pie’s home, built for William R. Whitson (ca. 1905 by J.M. Westall), is a lovely Grand Colonial Revival with gorgeous dark woodwork, including a graceful closed stringer stairway, arts & crafts wainscoting, and elaborate mirrored mantles. Guests stay in classically elegant rooms with names like The Blue Ridge, Biltmore and the Chestnut Hill Room. There is also the option of the roomy and beautifully appointed Beau Catcher Suite adjacent to the main house. With a whirlpool tub, separate living and bedroom areas and gas fireplace, this is a perfect accommodation for a romantic–or working getaway, and is where we stayed! Innkeeper LaDonna and her amazing staff have an easy camaraderie with guests and one quickly appreciates the artistic and holistic spirit that embodies Asheville– and keeps people coming back. The Chestnut Street Inn is a must! 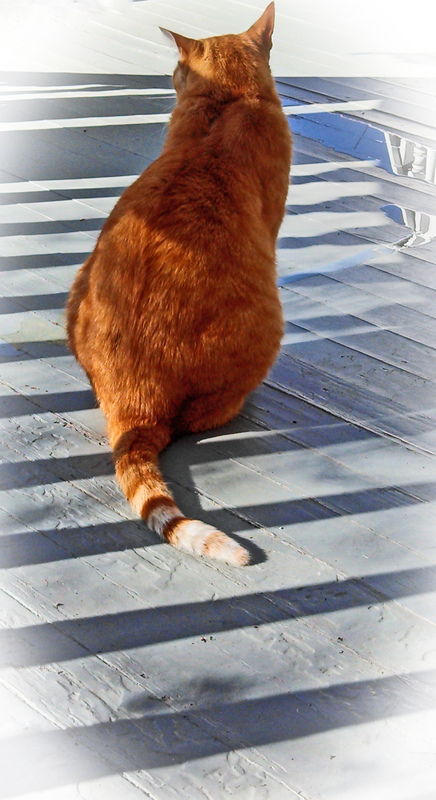 Happily, Pumpkin Pie and I made peace in the warm sun on the side porch. The wide front porch with rockers invitingly queued is a favorite spot. If you like, there is a basket of soft blankets tucked neatly inside the front door so you can rock and watch the birds in the early morning, protected from any chill in the air. Thank you! Happiest holidays to you! What a lovely article on our home. It was such a pleasure having the opportunity to meet you all. I am amazed at what you have done! Thank you LaDonna! I look forward to a return trip to Asheville and seeing you all again…and Mr. P!